Prospective Master of Business Administration (MBA) students usually investigate careers available with an MBA in Accounting before they decide on the accounting specialty. Competition in the job market remains high even in career fields that have moderately strong industry demand like accounting. Subsequently, business professionals who have an accounting background or an interest in the field often decide to pursue advanced degrees that highlight management skills and accounting knowledge. Many business schools see this degree specialty as a direct path to senior management positions in accounting for certified public accountants (CPA), and the CPA license is a requirement for admission. However, some business schools admit students from various academic and professional backgrounds into their MBA programs that have accounting concentrations, and these students gain valuable leadership skills and knowledge of accounting principles that they can use in nearly all corporate jobs. Here are some examples of the careers that MBA in Accounting graduates can fill. Most people think of investment banking as the primary source of jobs for financial analysts, but these analysts are needed and employed within nearly all traditional corporations, non profit organizations and government agencies. Financial analysts gather and evaluate fiscal data to detect trends, risks and opportunities that will assist senior leadership with key decision making. Upon assessment of corporate expenses and cash flow statements, financial analysts also create budgets at the department, program or project level within businesses. 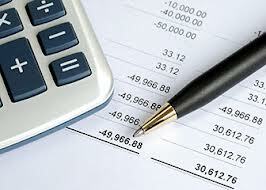 Accounting managers usually supervise subordinate accountants who primarily are responsible for financial reporting. Accounting managers draft internal accounting procedures for their staff accountants that help to ensure that financial reporting products are accomplished according to industry standards and as efficiently as possible, according to the American Institute of CPAs. These managers also support other accounting colleagues with audits, budgeting and forecasting activities. This accounting leadership position is ideal for an MBA in Accounting graduate who already has a CPA license and at least five years of accounting experience. Many accounting professionals have years of leadership experience in their industry, but they need an advanced degree in business to show employers that they are viable candidates for roles that have greater responsibilities. For this reason many accounting and finance professionals enroll in MBA in Accounting degree programs when they set their sights on the position of corporate controller. Controllers are known as the chief accountants of businesses, and they oversee all corporate accounting functions from payroll to audits. Accounting managers usually report to them, and controllers report directly to Chief Financial Officers or Executive Officers. Another career option for experienced accounting professionals who have their CPA licenses and MBA in Accounting degrees is to become an accounting instructor at a college or university. While many top tier universities require full time accounting professors to have doctorate degrees in either accounting or business administration, nearly all junior colleges and many other four year universities welcome accounting professionals who have their licenses and advanced business degrees. These professors teach undergraduate students the fundamental principles of accounting that include technical definitions of profit, loss, assets, liabilities, income and expenses. According to surveys conducted by today’s colleges and universities, there is a shortage of qualified accounting instructors, and full and part time instructor positions are plentiful for qualified candidates. Earning an MBA is a great accomplishment, but gaining an MBA with a specialty in a growing field like accounting is just plain smart. These types of degree programs allow employers to take a little of the guess work out of matching qualified candidates with available management roles. MBA in Accounting graduates who have undergraduate academic backgrounds and professional experience in areas other than accounting usually bring additional skills that can be used in careers available with an MBA in Accounting.